The new Oakville hospital facility involves the construction of approximately 1.5 million square feet on a 50-acre green-field parcel of land in Oakville, Ontario. Building the IT infrastructure for a new hospital is a massive undertaking that undergoes a unique set of challenges and opportunities all aimed towards improving patient care. Even when you take the basic yet necessary task of printing; Halton Healthcare (Now The New Oakville Hospital) printing environment had more than 350 print devices made up of multiple manufactures, models, drivers, supplies and support methods. 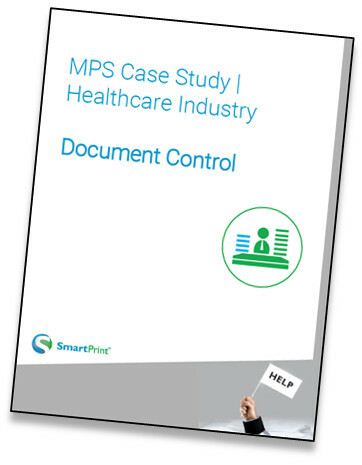 SmartPrint planned a design of a print environment that would address the client’s concerns around security, cost containment, workflow, productivity, fax and device reduction, all tied under a managed print services offering. Undertook diving into each department’s individual requirements in terms of printing and imaging, user workflows, and new location floor space. Recommended the right hardware technology partner with a scalable platform for easy integration. Introduced Follow-Me security printing solution to print jobs to a centralized print queue and release print jobs by scanning individual’s security badges which supports patient record security. Integrate fax over IP to facilitate removal of costly analog lines.